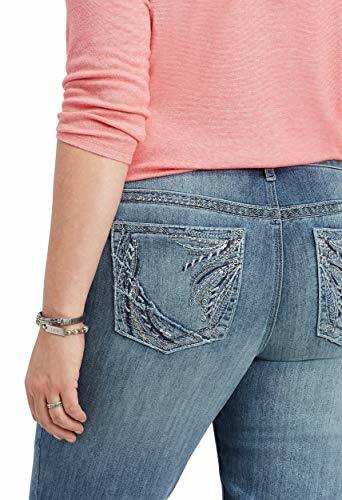 Silver criss cross denim shorts, detailed with floral embroidery on back pockets as well as the patch at back, slight distressing at front, frayed hem, contrast stitching and a 5-pocket design. Machine wash inside out in cold water. Hang dry. 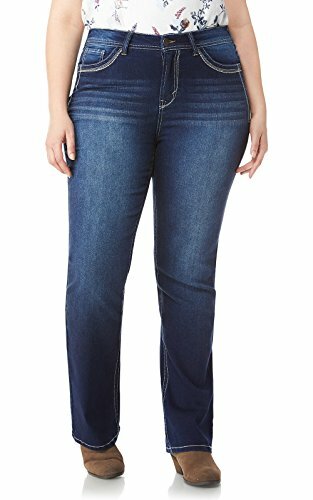 Front Rise: 8 1/2; Back Rise: 13" Inseam: 1"
Stretchy DenimFlexTM fabric, medium sandblasted wash, all pockets are functional, sequin embellished back pockets with frayed detail, button and zipper closure, model is 5' 10" and wearing a size 14. 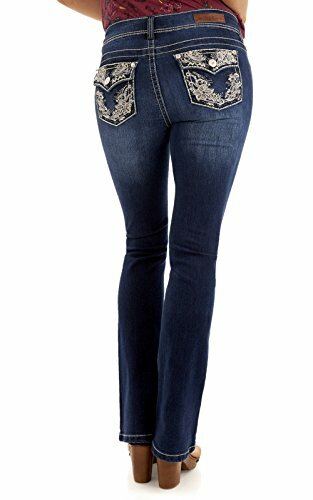 These Luscious Curvy Bling Bootcut Jeans feature double button closure, embellished pockets and a contoured waistband that hugs your curves. 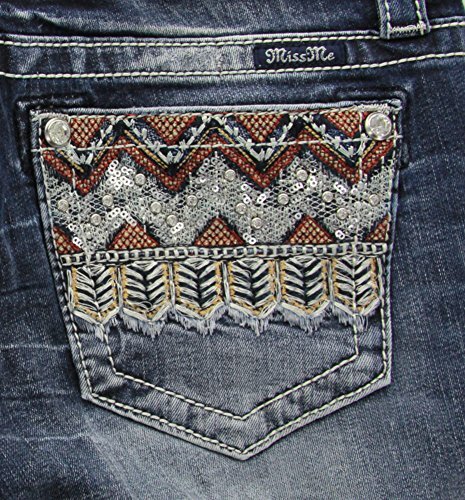 Want more Embellished Back Pocket similar ideas? Try to explore these searches: Womens Casual Strappy Sandals, Blue Topaz Fish, and Jungle Sleeping Bag.